One cannot ignore the growing concerns in Thunder Bay. Our city has grieved the loss of too many youths, the number of food bank recipients has grown, and mental illness is on the rise. There is an increase of children and adolescence with anxiety that hinders them from attending school, suicidal thoughts are impacting people of all ages, a growing sense of hopelessness, and ongoing poverty that keeps people feeling trapped. Adults are struggling to attend to their own physical and emotional needs and that of their children and youth. Many are unable to self-regulate in their own conflicts, stress and sense of wellbeing. 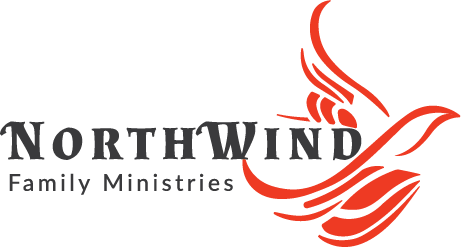 NorthWind’s LifeBuild is a program that focuses on Life Development and Skills Training. LifeBuild is one of the four elements of the Family Strengthening Program but we also offer individual modules. The Life Development aspect is encouraging the progression that is part of our naturally design. Sadly life’s wounds have sabotaged that natural growth. We seek to build an environment where people can heal and natural growth and ongoing development is possible. Skill development are seen as behaviours that can be applied to one’s life to improve it. For NorthWind, we believe that the combination is important. Through trauma informed care we seek to provide a safe community, where growth and development as individuals and families will occur. Safety combined with strategic learning, defined here as the application of new knowledge and evidenced in changed behaviour, has the potential to transform families. Life can change! One step at a time. For more information contact lifebuild@northwindfm.org.